Through My Eyes: The Perfect Proposal Ring. Apparently, no other watch shops can fix a broken Swatch. Make a trip all the way to Queensbay Mall lo, knowing for sure 100% it'll be fixed since the shop is there what. The only thing that was broken was its latch thing. I thought quite easy to be replaced no? Anyways, they said no cannot. Only got 2 options. One is to change the entire handle and two is get a new Swatch. Bleh. The price to change the handle is RM138. Too expensive seriously. We looked around in the shop and found one that I like. The question is should I be spending RM210 for a watch now. My previous one costs about RM300 so this is actually still okay in comparison. I just don't know if now is a good time for me to spend this money although I do really need a watch badly. I can always get the really cheap ones first? Hmm. Dilemma. Okay. So we were walking from one end of the mall to the other end, searching for Cosway (only to find out that they relocated to the outside shoplots) when Koay said this. My instant reaction on that split second was HARH! After that, I was like, "Can also. We wouldn't want you buying a ring that I don't like!" HAHAHA. Girls out there, do you all have this kind of thought ah? Like what if when your boyfriend proposes to you and you realize that he got you a ring that you don't like? Or you expected bigger diamond or a clear diamond and he got you a colored one or something? I don't know. I know I am very concerned because I don't trust his taste in women-related-fashion-or-whatsoever. HAHA. Then again, when your boyfriend proposes to you, the ring doesn't really play a big role lah. You'll probably be so into that moment at that time. Maybe when you go home and actually take a closer look only realize that the proposal ring doesn't look like one bit of how you've imagined it. HAHA! Anyways, we went to a few shops and they are all really sparkly oh goodness. No need to mention the ringgits okay. Good thing is I'm not a really big fan of diamonds, but I do want a diamond ring lah if he can afford it. If not, then no need also okaylah. BUT SERIOUSLY WHY IS IT SO EXPENSIVE TO OWN A DIAMOND RING? DOES IT EVEN MAKE SENSE TO SPEND FEW THOUSANDS ON A RING THAT ONLY THE GIRL WEARS? SHOULDN'T THE WEDDING BAND BE MORE WORTH TO SPEND MORE MONEY ON? I think when it comes to settling down, Adrian has always been the one to not really wanna talk about it yet because he is still young but that conversation was few years ago. So, for him to pull me (literally!) into one shop after another last night, asking me if every diamond ring that he points to is nice, that gave me such a warm feeling in my tummy. The smaller the diamond the better. The happiness of our union is not based on how many carats that diamond is. Nope. Even if can afford bigger diamond, better use the $$$ for travelling. Heh. 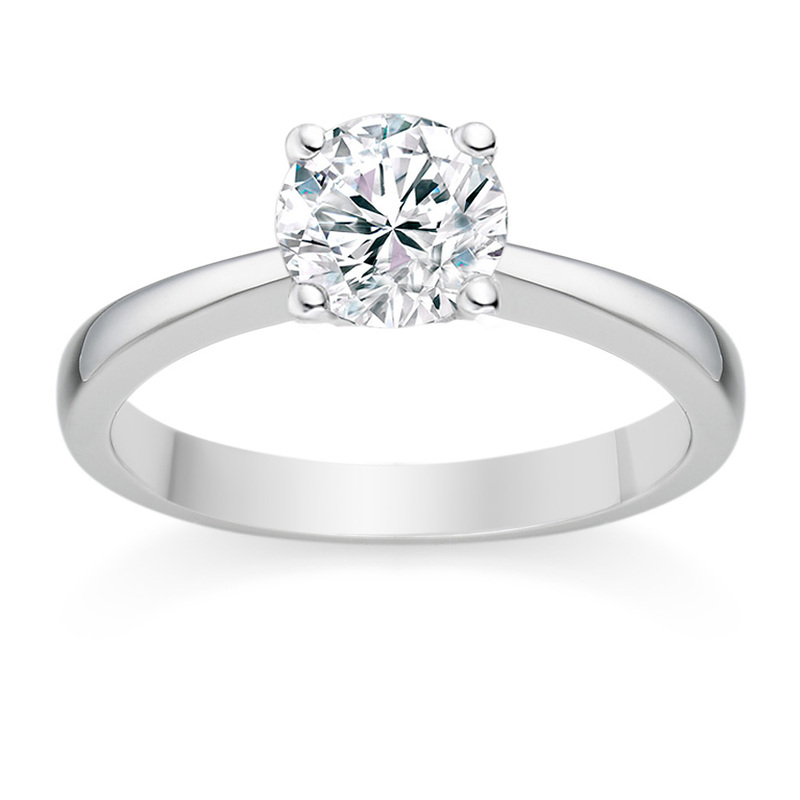 If can get a diamond ring at a price that makes the boy feels like he has accomplished something and the girl loves it, that's the perfect proposal ring. I guess I'm that kind of girlfriend who doesn't quietly expects a lot of things from the boy and when he didn't do it, I'll be heartbroken and give 'I'm okay' kind of silent treatment . In fact, we know that expectations in the quiet often breaks a relationship. So, we made sure that we share with each other expectations like these. We love THINKING OUT LOUD. Heh. Our favorite song BTW. I think that's how we get stronger than when we first started. We're both very different and yet the same in other ways. So, the best way is to communicate it out even when we know that it will disappoint the other person at that moment. For example, there was once when he told me that if I don't control on my spending, especially on travels, we will never be able to own a house and start a family. At first, it felt like he was saying that I'm the main 'cause' that we couldn't get a house (of course that wasn't what he meant). Well, most of my travels are paid for by my company so I don't really spend a lot but I do tend to want to spend on travels more than anything else. When he laid down the numbers, it hit me hard and it took me a while to realize that this money thing is giving him more stress than it should be and I HATED how he became so unhappy at one point (could be quarter life crisis too). So, we sat down one day and decided to change things a bit of how we will work this out as a couple. Afterall, we do really want to start a family together. So my money is his, and his money is mine. Heh. Our solution to this money-issue? Everytime when either one of us want to spend on something extra, we will need to ask. I will ask him. He will ask me. And if at that very moment, one of us (lets just use him as example) says no to spending on that particular thing, I will have drop the idea. BUT WHAT IF I REALLY WANT IT? Then, I can ask again and maybe this time, give gazillions of reasons or prepare a powerpoint slideshows of why I think it should be a go. We only have up to 3 times. So, if its all a no, then no matter what, we gotta drop it. So far, it has been working out alright. He told me to go ahead and get that Swatch! Hmm. I don't know if this is something that couples do nowadays but shopping for the proposal ring together kinda helps a lot in managing the expectations, stress because of money. Money will always not be enough, so we work around whatever budget we have lah. Heh. Oh wells. We didn't buy any ring in the end if you all want to know. I told him to come back and shop with my sisters since my sisters know best of what kind of ring I would like. Heh. Yes, I don't want to know how my proposal ring looks like because I still would like that little hint of surprise. And yes, I obviously know that he might be proposing soon so this is not like the kind of post where the girl posts to give hints to her better half. Haha. I'm not that desperate! Haha! I'M SORRY THIS IS NOT SUPPOSED TO BE LIKE A LOVEY-DOVEY KIND OF POST! It's actually not really lovey-dovey also. Hah. I just really wanted to share this here, with myself and you guys who read my blog because if you are reading this, you're somehow part of our life, our story. HAHAHA SO CHEESY I CANNOT.